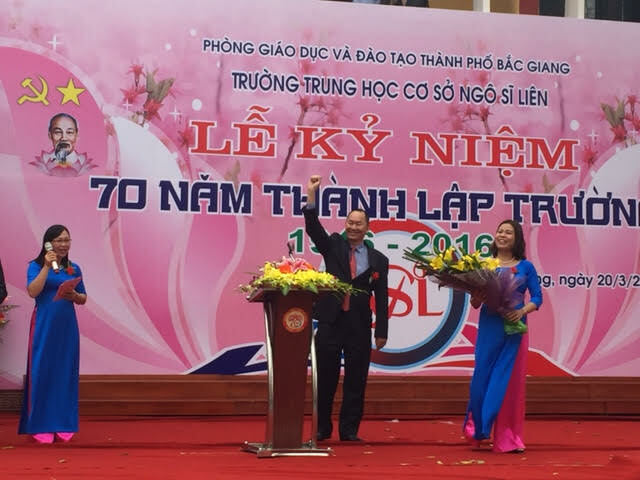 (April 11st, 2016) On March 20, Nguyen Anh Tuan, CEO and co-founder of The Boston Global Forum (BGF), gave a keynote speech to help celebrate the 70th anniversary of one of Vietnam’s leading high schools, the Ngo Sy Lien School, in Bac Giang, Vietnam. In the speech, he encouraged the school to bring the Global Learning and Global Citizenship Education program to its students and teachers. Global Citizenship Education has been a priority of the BGF, which was founded in 2012. Tuan is chairman of the International Advisory Committee of the UNESCO Chair of Global Learning and Global Citizenship Education at the University of California at Los Angeles. 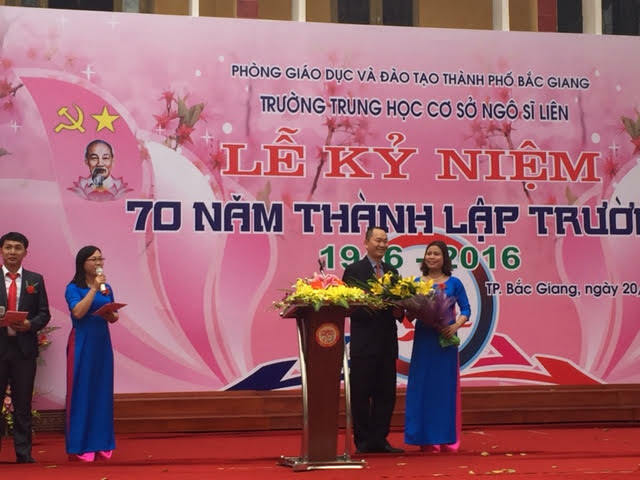 An Internet pioneer in Vietnam, as well as Boston-based international civic leader and businessman, Tuan is one of the school’s most successful alumni.